In a world where the mere mention of God in a public setting or context can draw more concern and dismay than any number of profane messages, we must stop and ask ourselves what has happened to steer things so far down so many undesirable paths. "Announced in scripture and proven by all history." 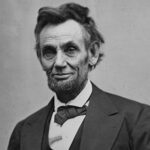 Abraham Lincoln wrote, “It is announced in scripture, and proven by all history, that those nations are blessed whose God is the Lord.” Proven by all history. A nation that is not God-centered cannot but lose not just its morals but its intelligence. It’s already happening. The God of Abraham Lincoln was a God who did not bless by serendipitously dropping providential gifts into the laps of the blessed. He blessed by raising the intellect. This generation will decide. We can choose darkness or we can choose light. If Fall has arrived, can Thanksgiving be far behind? It was during a recent Thanksgiving season that I savored a viral message of the inspirational kind. 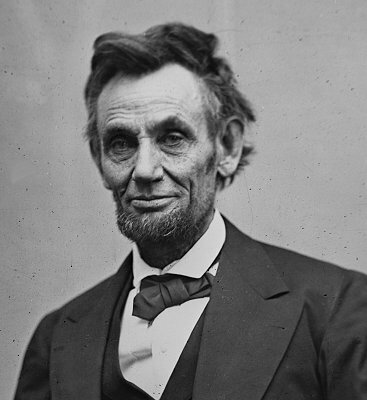 It shared the story of how Abraham Lincoln, by proclamation, declared Thanksgiving an annual national holiday. The proclamation itself is vintage Lincoln—full of eloquence and uplift. But the content is interesting as well for the stark contrast it shows to the kinds of messages we get from our highest officials in these different times in which we live. What high public official today would utter such words? These sentiments reach us as something from another world, and the contrast is to our loss. What, indeed, is Lincoln saying? Can these remarks have any relevance, beyond being a quaint specimen of a more naïve, innocent age? And yet it was on such language that this country was built, and achieved its highest prominence and influence. We still sing a song called “God Bless America,” but has its message been outdated? Was—and is—America blessed by God? Either it is or it isn’t. Meanwhile, we are confronted by two truths, both of a sweeping, pervasive nature. The first truth is that America is either the most blessed or fortunate nation in history. The second is that America, or at least the America of a few generations ago, is or was the most fervently Christian nation that has ever existed. De Toqueville attested to that, as did many great thinkers, both from the believing ranks and the unbelieving. How are we to regard these co-existing conditions? The fact that the most Christian nation happens to be the most prosperous, progressive, inventive, industrious, and accomplished of all suggests a strong cause-and-effect relationship. There are three ways to view the matter. One, that Lincoln was right: God blessed America. Two, that the circumstances are merely coincidental: no cause-and-effect relationship exists. That seems a stretch. For surely it is hard to say, when dealing with such striking and singular realities, that there cannot be any connection whatsoever between them. Then there is Possibility Three, which is that America made itself what it is and then, in some kind of natural outgrowth of that change, acquired or deepened its religion. In other words, there was a cause-and-effect relationship, but it was more of a psychological or emotional or evolving one. Is it not easy to imagine such an unfolding? A civilization, driven to achieve, excels in all fields. The people, thus empowered, are freed to turn their hearts and minds to matters less immediate than their survival and welfare, and they become more spiritual. Is it not possible to imagine that the more secure a nation becomes, the more capacity it gains for religious expression? Presumably such is possible. People are capable of doing just about anything. This is the kind of America that a sociologist might imagine. Or a behaviorist. Certainly a nonbeliever could entertain this theory. There’s only one problem with Possibility Three. It’s absurd. An America that prospered on its own, without God’s help, and then poured forth its gratitude to God is an America that would be totally misguided. What reason could such a nation have for attributing its blessings to God? They’d be a grateful nation, and a deluded one. The God they’d honored would be untouched by such nonsense. They wouldn’t be wrong to honor God per se. They’d just be wrong to honor Him for blessing them. But, under this premise, that is exactly what happened. The segment of society that is religious has attributed America’s blessings to God. And that, under any possibility except number one, above, is preposterous. Possibility Three, though it could be considered a cause-and-effect explanation connecting the twin facts of unmatched Christianity and prosperity, leads only to misguidedness. And Possibility Two, as we said, had problems of plausibility. On the contrary, the very idea of God presupposes a ruling God. He cannot be who He is and not be invested in His creation, on all levels, as the first cause and prime mover of all things. He cannot but be One who rewards or disciplines nations and individuals. We who are not able to justify our own presence here, we who are derivative beings, can be thankful that we even exist. It takes that, first, to create a people capable of going to the next step, as did Lincoln—the American president most admired, within this nation and without.